Deciding whether wired or wireless home security systems are better depends on a number of factors. Things like property size and layout, budget, portability, accessibility, and home automation requirements should be considered in the decision. Additionally, you are not necessarily limited to one or the other either as some of the newer professional systems have hardware components that are compatible with both wired and wireless systems and can be combined to optimise the security set up in your home. Both wired and wireless home security systems are made up of hardware components such as door and motion sensors, surveillance cameras, and control panels. The various components relay information to the control panel which communicates with the outside world either via landline phone, radio transmitter or by using cellular technology. It allows the control panel to send alarm trigger alerts to a security monitoring service of your choice, or to receive instructions from an app on your phone. Wired home security systems, also known as hardwired systems, connect sensors and/or cameras to the control panel using a cable network. The system is powered by the homes’ AC electrical output and use a battery power supply for backup in case of power outages. Once the system is set up it requires very little maintenance. Wireless systems use radio frequencies to connect equipment to the control panel. All hardware components run on battery power and although batteries are powerful and efficient they do need to be monitored and replaced periodically. Although the earliest home security systems communicated to the outside world via landline phones, nowadays both wired and wireless systems can connect via cellular technology too. Generally speaking, wired hardware components cost less than their wireless counterparts. However, the installation process can be a fairly laborious one which requires the services of professional installers so the labour charges for it may be higher. Wireless hardware components generally cost more but installation is relatively quick and easy so a bit of money can be saved on the installation costs. If you want to avoid installation costs altogether then a standalone DIY home security system could be an option. Depending on the size of your home, the installation of a wired system is usually a considerable job. Connecting all of the components often requires running cables in roofs, drilling holes through walls and ceilings, gluing cables, as well as patching up once the installation is complete. Wireless systems require less home modification to install and the absence of wires means that they can be placed in hard to reach areas or areas where laying cables is not practical. Wired systems are usually preferred when undertaking an installation on a large property as the direct cable connection ensures that the distance from, and ability to connect to the control panel is not of concern. A wireless system, on the other hand, operates by sending radio signals from the sensors to the control panel. Distance and physical barriers such as walls or storey levels in a house need to be taken into account as they may interfere with the connection. Though improvements have been made over the years on the DIY kits, they have limited capacity for connections and are not able to accommodate as many connections as professional wired and wireless systems can. 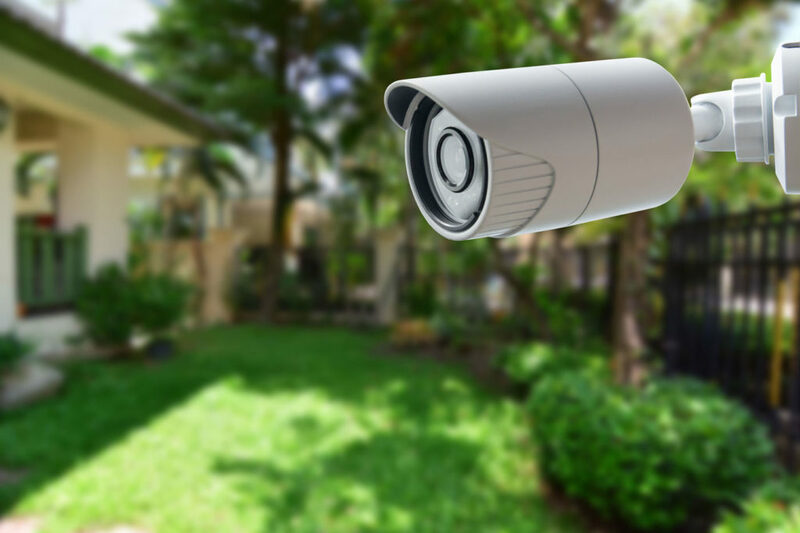 Another major factor to consider when choosing a home security system is whether or not you own or rent the house that the system is intended for. A wired system is more or less a permanent fixture in the home mainly because of the effort taken to install it. Once it is in, it is usually there to stay and this makes it a suitable option for homeowners willing to invest in their property. On the other hand, a wireless system is fully portable and can be easily removed and re-installed elsewhere and this makes it ideal for renters who wish to take the systems with them. Although older wired home security systems access settings and functions via the control panel or a remote, some of the newer ones follow suit on the wireless systems and allow control from an app. The security systems allow remote access to the control panel over WiFi or via cellular technology so that security functions can be set and checked. Certain control panels integrate with home automation systems and also allow remote access to functions such as thermostat control, lighting, and locks. Some wireless systems may be susceptible to hacking and signal jammers which prevent your alarm from triggering to alert a break in. Research the system to check their vulnerabilities prior to purchase. Each type of home security system has its pros and cons. Ultimately, the best one for you will depend on the requirements you have and the features you want in your home security system.